Indigo blue is the selected color for the 2020 Tokyo Olympics and Paralympics logo, and blue is also for the uniform of Japan’s national football team, Japan Blue. Indigo blue, dark blue and deep blue-violet are now attracting people’s attention worldwide. 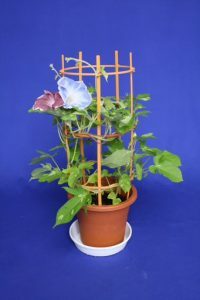 At the Morning Glory (“Asagao” in Japanese) festival in Iriya, Tokyo, held at the beginning of July, blue-violet and light blue Morning Glory were selling well just as the brown Morning Glory called “Danjuro-Asagao”. 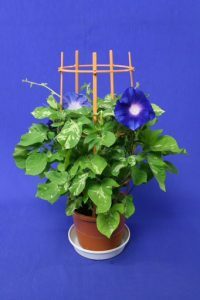 There were also foreigners at the Uguisudani-station near Iriya, who were carrying deep blue-violet Morning Glory that seemed to have been bought at the festival. 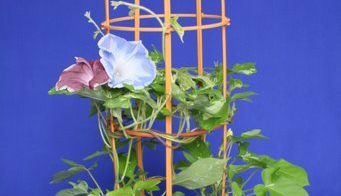 When someone speaks of blue cut flowers, what would spring to your mind? 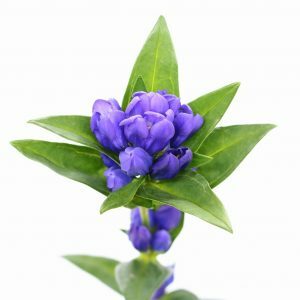 For me, it is Gentian, truly blue flower. The shipping amount of cut Gentian is at its peak in this month. Japanese flower industry needs more promotion to overseas. 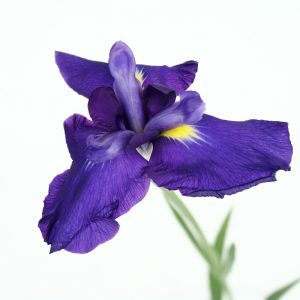 For example, flower arrangements featuring blue-violet flowers, not just Gentian but Platycodon grandiflorus (Balloon flower), Iris, etc., would evoke a sense of Japanese harmony. Single-flower vases or decorated vases with blue-violet flowers, and great places decorated with these items can be suggested. 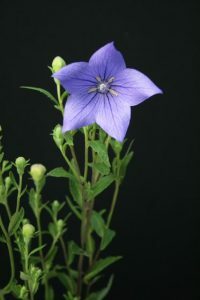 It may also be nice to use indigo colored ribbon or accessories for Gentian’s vases and arrangements. Copyright OTA Floriculture Auction Co., Ltd. All Right Reserved.